Sully, "tastes awful, but I get 36 miles to the jar" is the best oil joke I've ever heard! Thanks, Sister in the Midwest! Hope you like it as much as we do. Let me know how it turns out for you. I don't eat mayonnaise unless it's homemade! And you know what? I can't imagine my life without my immersion blender. Yours looks great, Jean. I bet that tastes lovely. I always make home made mayonnaise. Saving this one Jean; we don't use mayo often but I want the freshest and best when we do... and just got some lovely organic eggs from a friend, so yay! Angie, thank you! I'm new to the immersion blender, and I'm already wondering how I ever got along without it! It's so much better, isn't it, whiteangel?! Jacqueline, thank you. It must be wonderful to have a source of good organic eggs nearby! Quinn, adding that bit of flour (I use tapioca flour, but all-purpose will do) is just something I've always done with the cooked-egg method. I think it might reduce the risk of overcooking the egg, much like when making a stirred custard. This reminds me of when I saw a Martha Stewart piece about making your own marshmallows and I thought, "Marshmallows are an ingredient, not something you make!" It never occurred to me to make my own. But this mayo recipe sounds doable AND delicious!! I'll give it a try! Mo, I hope you will make it soon. It is really quite easy and so much better than anything you can buy. 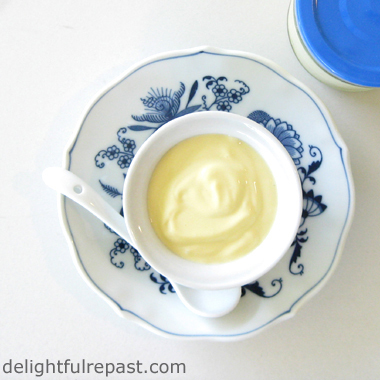 I think home made mayo is one of life's last luxuries and really it shouldn't be, it's so simple. Yours looks gorgeous. I've never made the cooked egg method before because I don't have an issue with it but it looks so nice I must give it a go! Dom, thank you so much! And I agree, "one of life's last luxuries." If you try the cooked egg method, do let me know what you think. There's nothing better than homemade mayo. MMM! Yeahhh, Marlene! But, shocking as it sounds, I know a few people who actually don't like it! How crazy is that! This is something I've never tried to make, I might have to give it a go sometime. Thank you for linking up to this week's Tasty Tuesday Linky. I am pinning you recipe to the Tasty Tuesday Pinterest board. Ashley, yes, give it a go. And let me know how it turns out for you! I haven't made homemade mayo in years, Jean, but I'd like to try your no raw egg version. I don't own an immersion blender, and will need to look up your food processor version. Kitty, I do hope you'll try it. It's easy (though not quite as fast as just using a raw egg!) and so tasty. I'm afraid the only storebought mayonnaise I like is one that is not organic and has GMOs, so I must have homemade. I appreciate your visit to my blog, Jean! I look forward to making the mayo recipe! 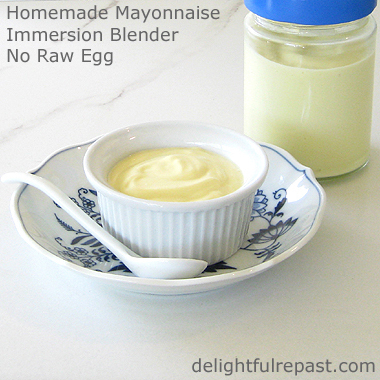 I have never made homemade mayo but have often thought I would try it sometime :) Thank you for an excellent recipe, my dear Jean, and thanks for sharing with Roses of Inspiration. I hope you're able to join us again this week. Hugs! Stephanie, thank *you*! And I hope you will try it soon -- on some lovely tea sandwiches! Thanks, Joanne! That sounds sooooo good! Must pick up some avocados and tomatoes this week. Thank you, creativelyhomespun! Pins are much appreciated! I need to try this Jean! I've never tried making my own mayo before, but I'd like to! Michelle, I hope you will -- you'll be amazed! Alas and alack, Jean...I still cook in the dark ages...but my whisking arm isn't giving me any trouble so I should be able to give it a try. I do love the homemade! Sue, that's wonderful! I love cooking "in the dark ages" when I can! 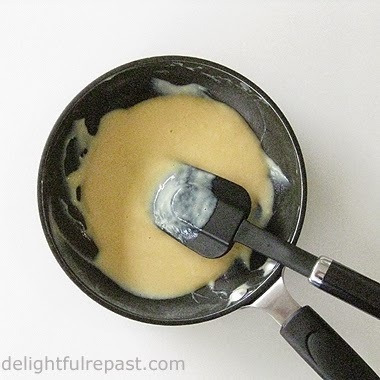 Jean, thanks for sharing recipe of mayonnaise without any raw eggs, yes I won't make it at home, Pinning and tweeting, Thanks once again for sharing with Hearth and soul blog hop. Swathi, thank you! Pins and tweets are much appreciated! Yes, we are always getting warnings about raw or undercooked eggs and meat, especially for children, elderly people and pregnant women. Since I often cook for people in all those categories, I'd rather just get into the habit of not using raw eggs. Love this recipe, Jean. It's the raw egg that has always put me off making my own mayonnaise! Pinned and will share. Thanks so much, April! Pins and shares are sooo appreciated! I think you're going to love making your own mayonnaise. You don't get salmonella from raw eggs. IF the egg was contaminated with it, it would be on the shell and an easy way to get rid of that is to run the raw egg under boiling water for a few seconds. ...there are actually more instances of food poisoning from things like spinach than raw eggs. Thanks, Anonymous. I'm plenty careful about my spinach, too! Though the chances of foodborne illness from raw eggs might be small, I prefer to follow the recommendation of the American Egg Board that "for egg-containing dishes, cook until an internal temperature of 160F or above has been reached."